This is a very speculative question. Suppose somewhere in the universe there's a civilization that's invented the [insert favourite musical instrument here], but only have one hand. They can write songs of course, but they won't have music as rich as we do, because we can play the [instrument] with two hands. The set of all music that can be played with two hands is trivially bigger than the set of all music that can be played with one hand. But this can go on. The set of all music that can be played with three hands is trivially bigger than the set of all music that can be played with two, and the set with four hands would be bigger than the set with three, etc. Therefore, could it be that there are beautiful pieces of music today's composers would love to compose, but are unable to, because they're thinking only in terms of 2 hands? Edit: Thanks for the answers. To clarify, I was thinking that one of the rules of solving puzzles is to consider the question "am I making any assumptions that aren't in the problem? ", which in this context would be "am I not able to compose a more beautiful piece of music because I'm assuming the player only has two hands?". Mozart, Schubert, Brahms and other composers wrote music for four hands. Brahms published three versions of his Opus 39 waltzes: one for four hands, one for two hands, difficult, and one for two hands, simplified. Many publishers issued four-hand arrangement of Beethoven's symphonies, allowing two people to play a piece that normally required more than twenty. Liszt arranged the symphonies for two hands. We can pretty much assume that something is lacking in the two-hand version of a four-hand piece, or the four-hand version of an orchestral piece; otherwise, what would be the reason for the version requiring more players to exist? So the different versions are in one sense the same piece; if you heard a piano arrangement of Beethoven's Fifth Symphony you would immediately identify it as Beethoven's Fifth Symphony. But in another sense the arrangement is an approximation of the piece. You could reduce it down to a very simple, short version that a beginning piano student could easily play, but it would not be very satisfying -- not very beautiful, you might say. So we can form a hypothesis that any piece can be reduced to a simpler form, at a cost of loss of beauty, until some point where it is no longer recognizable. I wouldn't say exactly that there are pieces of music today's composers would love to compose, but are unable to. I would say instead that there are pieces of music that composers would love to compose, but can only get somewhat close to their imagined ideal with only two hands, or only four hands, or only a full symphony orchestra, or whatever. Now looking back at the hypothesis that a piece can be reduced to a simpler form, is it also possible that a piece can be improved by adding hands? Edvard Grieg evidently thought so, for he wrote 2nd piano accompaniments to Mozart's piano sonatas. I don't know whether I'd say that there are pieces of music that can be performed witha minimum of 2 hands. Modern orchestral pieces obviously have dozens of musicians, and combined, plenty of hands. Therefore, any piece that could theoretically require more than 2 hands can be worked around by having multiple musicians playing. Of course, any species that only has one hand total for their entire species may have a problem. Additionally, hands are not the only means of sound production. Different species might make music with their elbows, or whatever is dextrous enough. It's also possible that some species has more ability to manipulate extremities to make music, and therefore can make music that no solo human could accomplish. But of course, we could get multiple humans, or use computers. I don't think it's feasible that there could be much music in other civilisations that is only unplayable due to humanity's number of hands. There are, of course, plenty of other creative reasons that alien civilisations would create music unplayable to humans. Perhaps they hear sound in a completely different range of frequencies than we do. Perhaps their culture likes to subdivide the beat in groups of 10561. Perhaps their civilisation cannot distinguish frequencies at all. Perhaps they have no need for physical sound waves. Of all the reasons humanity could miss out on great alien music, hands seem to be one of the least likely scenarios. There definitely would be music that cannot be optimally realized with only 2 hands and no other body parts. Take some organ music--the foot pedals often play low notes while both hands are occupied with higher chords. However, I'm a versatile enough singer that I've found that any such piece can be fairly sufficiently approximated with only my one human voice. I often intersperse accompaniment notes in the primary melody, so I like singing more fleshed-out approximations. I occasionally run into trouble singing a version of a piece that I'm satisfied with, though. For example, the 3rd movement (a march) of Gustav Holst's First Suite in E Flat for Military Band, Op. 28, No. 1 reaches a point where both the brisk initial theme and the lyrical second theme are playing at once, and as I cannot sing both themes at the same time, I cannot sufficiently convey that both themes are playing. Extending this from two strong themes playing at once to three, I do believe that there exists at least one piece with three strong themes playing simultaneously that a composer who thinks only in terms of two hands cannot sufficiently write down. But that piece can indeed be (unsatisfyingly) approximated by that same composer writing for effectively only one finger. 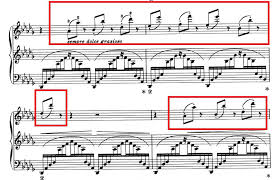 Even if we ignore the possibility of powered/automated machines or computers (which probably make any imaginable music 'possible'), number of hands / feet / tails only prevents the playing of instruments where layout of the instrument, or the degree of co-ordination between the hands (/feet, etc.) needed to play it, is such that it's not possible for (e.g.) two one-handed players to co-operate in playing it. One piano, for example, could in many cases be played by two one-handed players at a time. Guitar, on the other hand, might be harder - though there are plenty of youtube videos that show that it can be done! Violin might be harder still, and so on. However, number of hands does have an impact on what instruments are most practical, which has a knock-on effect on what kinds of music are most likely to be composed and performed, and therefore what kind of musical culture is likely to spread. (Number of hands even has an impact on the way our computers and electronic instruments are designed). Could it be that there are beautiful pieces of music today's composers would love to compose, but are unable to, because they're thinking only in terms of 2 hands? If a composer would "love to" compose something, that suggests that they can conceive the idea fully in their mind. If that's the case, it should be possible to realise it if we allow a technological solution. What's more likely is that some composers don't get past the point of thinking beyond existing instruments - whose development is going to have been dependent on what's most practical for the physiology of the players. So, while our two-handedness doesn't represent a hard limit on our musical imagination or possibilities, it's certainly a very strong influence on our musical culture. Some people compose at the piano (using two hands). Some compose at a guitar. Some compose sitting at a table with pencil and paper. They might write music for penny whistle, bagpipes, voice alone (no hands at all!) or full symphony orchestra. Sorry. A promising idea, but you haven't really thought it through! Bach's pieces for solo violin and solo cello show that one may emulate at least two-part counterpoint with a single voice. Other answers have noted that there's a lot of music that is designed to be played by multiple instruments, and couldn't be played by one person alone. But even in the realm of piano music, composers have managed to get around the fact that humans have two hands by composing for player piano. Notable among these are Marc-André Hamelin and Conlon Nancarrow; and most such pieces are not playable by a single human. More recently, there's also the phenomenon of "Black MIDI". 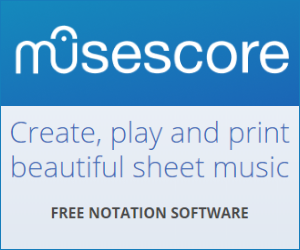 The MIDI format is effectively a set of notes, timings and durations, and so in principle one could write out the score for any such piece. However, Black MIDI's defining feature is that it contains so many notes that the score appears black; it could not possibly be played by humans—or indeed by most, if any, physical pianos. Many of the "Black MIDI" pieces that are out there are arrangements of pre-existing pieces; but I wouldn't be surprised if there are original pieces out there as well. Nothing stops a composer from creating "piano music" in this way that could not be played by human hands. In other words, there assuredly exist interesting pieces of music that cannot be played by human hands; but some humans have figured out ways to realize them. Trivially, by adding more people you can overcome restrictions with number of hands, so let us just consider solo music. Due to human restrictions, certain voices must remain sufficiently close to each other to remain playable. If the composer had a third hand to work with, such textures could make use of a much wide range on the piano. This technique is doable with two hands, but it does suggest that composers have been frustrated with the limb count of the average human. Of course, if string players have an extra arm free to use a bow, suddenly so many more contrapuntal possibilities open up. But I think where the real difference is going to happen is in instrument design. A violin is specifically designed to be played by a human. If significant numbers of humans had extra limbs, there wouldn't just be violin music taking advantage of the extra hand; there would be an entirely different instrument for it! Consider how carillon and organ already make use of extra limbs. Wind instruments could potentially be enlarged to give extra valves and extra range. The answer is trivially yes - provided the question of "beautiful" can be resolved to everyone's satisfaction. The trivial answer can be found on Youtube, at this clip Here we have a piece on guitar for 4 hands. You don't mention what musical style - which is important - but I assume you mean "classical." When you say "hand" I think you mean "voice" or "part." You don't mention instrument, but I think you imply a keyboard where adding hands adds voices and makes the music more complex. I don't understand what you mean by "trivial" but I think I can skip that. Theoretically you can have infinite voices. In classical style a practical "limit" on voices starts around 5 voice. After that the voices start duplicating parts. I put limit in quotes to mean there isn't an actual limit. It's really a matter of the style and how composers like to write polyphonic music. ...could it be that there are beautiful pieces of music today's composers would love to compose, but are unable to, because they're thinking only in terms of 2 hands? The obvious examples are symphonic and chamber music where more voices and instruments than a composer's two hands can play are combined. Music composition isn't technological; it's not like solving a system of equations or building a more efficient engine. If it were, we'd see a progression in music history from simple to complex and from less beautiful to more beautiful. But music history isn't like that. So the very question-- if only we had more hands to make music more complex, can we make it more beautiful?-- is based on a false assumption. Certainly with more hands we could make different music, with a different kind of beauty. But to say that we are missing out on all this beautiful music because we're limited by our hands... that doesn't follow from history.